If you have been cited or arrested for a DUI (sometimes referred to as a DUII) in Boring, Oregon, act quickly. While a DUI arrest can be an emotionally taxing experience, there are several time sensitive items that must be fully addressed within 10 days of your arrest. Hire us, or hire another firm, just make sure that the person who represents you specializes in DUI law and can help you navigate through all steps the legal process including the early stages. Boring, Oregon was named after William Harris Boring, a soldier and pioneer who settled down with his family in the area in the mid 1800's. 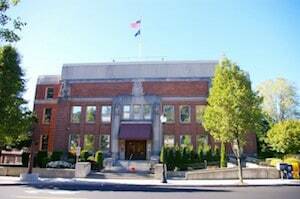 It Is an unincorporated community that is within the Clackamas County borders, and while it is commonly considered a contemporary bedroom community, the city motto is "the most exciting place to live." This is mostly due to the town's unusual name that suggests there is nothing to do, and the community is in on the joke. The community name is embraced by its residents, and there are many road signs and business names that add a humorous nod to the city's name. In June 2012, the town even accepted a proposal of pairing Boring's municipalities with another village's municipalities in Scotland – Dull. While the Village of Dull has under 100 residents, Boring has over 8,000. Last but not least, the town went above and beyond to help encourage tourism back in 2013. It's sister city in Bland Shire in Australia decided to create a relationship by building a "league of extraordinary communities” to encourage travel. The effort was a successful one, and there are officially 3 members in this group. Exclusive league members include Dull, Scotland, Bland Shire, Australia, and of course, Boring, Oregon. While Oregon has not recognized Bland Shire’s relationship with Boring, The Oregon Legislature recognizes August 9th as Boring and Dull Day. 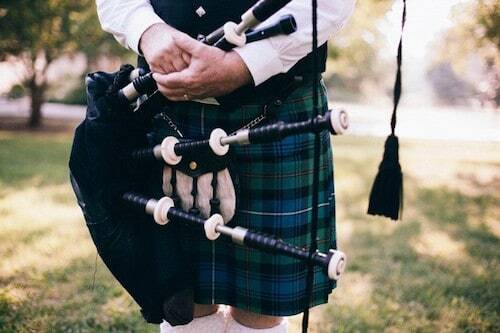 The holiday is meant to commemorate the pairing of the two cities as a “Pair for the Ages.” The community celebrates by dressing up bagpipers and drummers in kilts. The holiday also features an ice cream social to celebrate the kindred spirits of their cities. If you or someone you know was arrested for a DUI in Boring, OR, we urge you to take immediate action and hire an experienced DUI attorney. DUI charges frequently result in devastating consequences – some that affect you shortly after a citation is issued, others that persist for several years to come. While it is legal to go to court without the help of a DUI attorney or with an attorney who does not specialize in DUI law, it is always in your best interest to take advantage of using a specialist who focuses on this kind of work regularly. Even if you think your options are limited, or that your wholesome character will be recognized by member of the court, this is a common and alarming mistake. It is the duty of a trained DUI attorney to help keep negative case outcomes to a minimum, and this skill set is cultivated with several years of legal practice and schooling. When you show up to court with an attorney from Reynolds Defense Firm, it shows the judge you are taking all matters seriously and are thoroughly prepared for court. Our team of DUI lawyers have over 60 years of combined experience and have solid relationships with several court members in various courts in Oregon. We will do everything we can to help you avoid lengthy jail sentences, large fines, and several other factors that can result from a conviction. The entire Reynolds Defense Firm team believes everyone who needs help with DUI charges deserves a free consultation with a DUI law specialist. We are happy to answer your questions, and at the risk of sounding immodest, we are very good at what we do. To schedule your consultation, please contact us firm at your earliest convenience by calling (503) 223-3422 . Other contact options include our 24/7 messaging service and our quick online form. Thank you for considering our team as we help you and your loved ones figure out the next best steps for your legal matters.